The record of half the countries which voted in the debt rules. 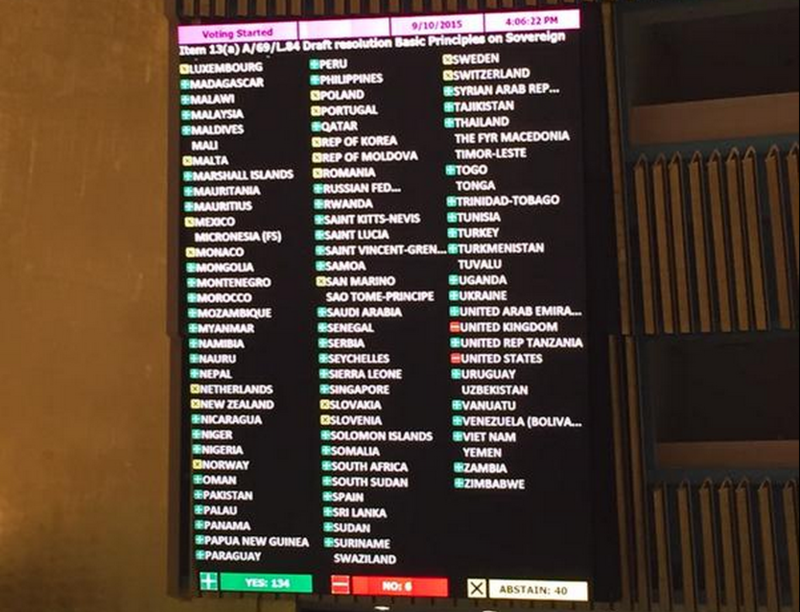 The UK and US stand isolated with their votes against. The discussions took place following a September 2014 vote to establish a multilateral legal framework for sovereign debt restructuring, which passed by 124 votes in favour to 11 against, with the UK voting against and the majority of EU countries abstaining. Ukraine and Iceland were among the countries which voted in favour of the principles, having previously abstained in September 2014. Both have suffered form debt crises in recent years.